Merichem was founded in 1945 and the relationship with the refining industry dates back to the very early days. 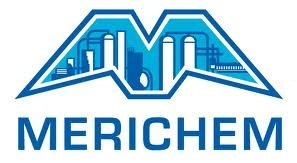 Merichem pioneered the recovery of cresylic acids or phenolic products from refinery caustics. This business is now conducted through MERISOL, a joint venture between Merichem Company and Sasol. Merichem’s experience building the phenolic business provided the foundational center of excellence in knowledge of caustic treating and caustic management. This knowledge base has been continuously expanded and advanced in Merichem’s proprietary technology offerings and caustic services business. Merichem Gas Technologies (formerly Gas Technology Products) was acquired from US Filter, a Vivendi company effective July 1, 2001. Merichem Gas Technologies include the proprietary LO CAT H2S process. This group has over 30 years of experience in gas processing. Merichem is a recognized global partner serving the oil and gas industries with focused technology, chemical, and service solutions. Our customers are at the center of everything we do. We are dedicated to understanding our customers’ unique needs and creating customized solutions. We are committed to the highest level of ethics, fairness and transparency in our dealings with each other, customers and other stakeholders. We strive to make the best use of resources, including our people, our assets, and the environment. We have a passion for achieving EH&S excellence. We focus on results, with individual accountability culminating in team, company and customer successes. Innovation is critical to our long term success. We continuously improve our technologies, products and services to meet ever-changing customer needs.